Home » Is Embolization Right for You? Share the post "Is Embolization Right for You?" Uterine fibroids most commonly affect women 40 to 50 years old. These benign tumors grow within the muscular wall of the uterus, and depending on size, have the ability to disrupt the abdominal space with their dense, fibrous tissue. Fibroids may cause a change in menstrual bleeding, pelvic pressure or pain, constant urination, and a variety of other symptoms. Rest assured, there is a fibroid treatment for everyone. Symptomatic fibroid patients are often told they need surgery. An enormous amount of hysterectomies (surgical removal of the uterus) and myomectomies (surgical removal of fibroid and uterine tissue) are performed every year to address symptoms of pain, bleeding, abdominal distention and fibroid-related infertility. But are these surgeries really the best approach? As medicine advances, many traditional surgeries are being replaced by gentler, less invasive techniques. Uterine Fibroid Embolization is an example of a highly successful and surgery-free fibroid treatment. More and more women are choosing to avoid the pain, risk and recovery time of fibroid surgery by opting for an approach that’s low- trauma to the body, has a very brief recovery time and protects fertility in women of child bearing age. The right fibroid treatment choice is something only you and your doctor can decide. But understanding surgical versus non-surgical options definitely helps shape an informed decision. This is a minimally invasive procedure. No tissue or organs are surgically removed. Instead, embolization works by injecting tiny particles into the blood vessels that nourish each fibroid. Blocking blood supply starves fibroids of oxygen and nutrients. They dwindle and shrink. The fibroid growth cycle is reversed, permanently. Fibroid symptoms are reversed, permanently. The embolization procedure requires no removal of uterine tissue. It is performed under local, rather than general anesthesia. Most patients return home and resume normal activity in a matter of days. Hysterectomy is one of the most common surgeries prescribed for fibroid issues. Without a uterus, there can be no uterine fibroids. But this form of treatment can have negative psychological and physical effects. And removing the uterus presents a variety of risks including blood clots, infections and permanent damage to the body. Hysterectomy surgery also involves an extended hospital stay, long recovery and the end of any future fertility. Many women, even if they aren’t planning on having children, prefer to keep the uterus they were born with. Myomectomy is the excision of fibroids by scalpel or electrical current. It is often recommended for fibroid patients who wish to preserve the uterus and any potential fertility. Important considerations with this surgery are the chance of fibroid regrowth (about 50% of all myomectomy patients will have fibroids return within 1 year), uterine scarring, and a long recovery period. (While less than the 2 month recovery expected with hysterectomy, myomectomy still averages 5 weeks of recuperation. Which Way to Go? Surgery or Embolization? Both are medically proven approaches. Both offer symptom relief. For patients comfortable with major surgery and removal of the uterus, hysterectomy may well be the right option. For those who desire immediate removal of fibroids, aware that uterine scarring and fibroid regrowth may occur, myomectomy may be suitable. 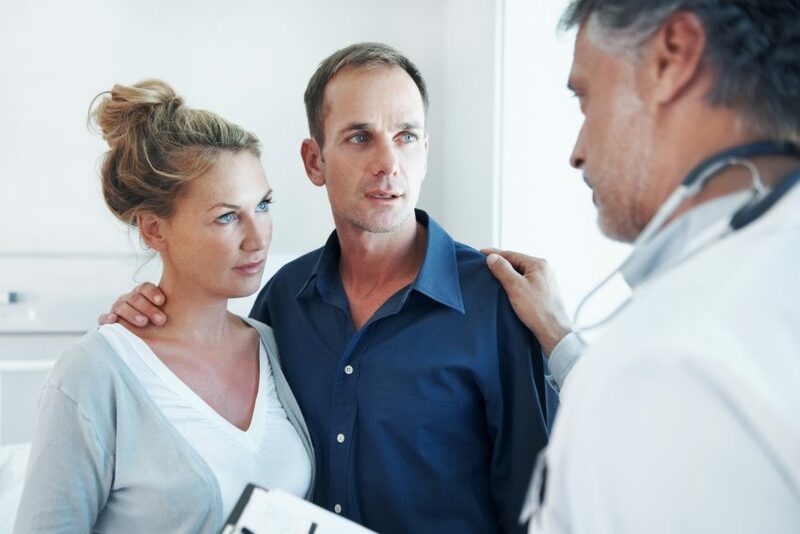 But for women who feel a minimally invasive treatment is better suited to their bodies, lifestyles and fertility expectations, fibroid embolization offers symptom relief without the discomfort, risk and recovery time of fibroid surgery. 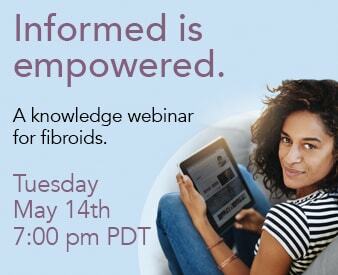 To learn more about non-surgical uterine fibroid embolization and its benefits, visit fibroids.com Or speak directly with The Fibroid Treatment Collective, medical pioneers of this non-surgical, minimally invasive approach. 888-296-9442. The consultation costs nothing. The information could change everything.